Corsair is extending the warranties on select power supplies by three years. I'm super lazy when it comes to buying a new PC power supply (PSU). I only have three basic requirements: does it supply enough power for my needs, does it have modular cables, and is it made by a reputable company? In the future, however, I may pay closer attention to what Corsair PSUs specifically have to offer, because the power supply guarantee it just rolled out is pretty darn compelling. The hardware company recently announced it's extending the warranties from seven to ten years on four different series of high-end PSUs. The PSUs in question include AXi, HXi, RMi, and RMx brand models, and the new warranty covers all current and future models sold worldwide. Corsair says customers won’t be required to take any extra action, such as registration, to get the new warranty. Instead, it extends to all units automatically. “With an extra three years of warranty, enthusiasts, system builders and gamers alike can be confident that their...PSU will provide, efficient, stable power well into the next decade and beyond,” Corsair said in its announcement. Why this matters: Corsair is only the second notable company to place such a long warranty on its power supplies. EVGA also guarantees a 10-year warranty on select PSU models, while Cooler Master and Seasonic both top out at 5 years. 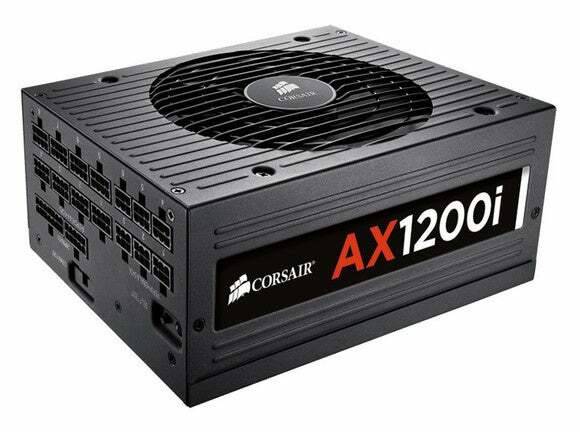 This is a notable change for Corsair since power supply buyers tend to be serious PC enthusiasts, a.k.a. people who tend to pay attention to fine details like the length of a product warranty. Not to mention that a PSU is one of those components that most people want to “set and forget.” A 10-year warranty goes a long way to reassuring customers they’re purchasing a reliable piece of hardware that will give them little trouble.